Butea frondosa is a slowing growing moderate-sized deciduous tree, growing up to 49 ft tall. · it is called after the Earl of Bute, a patron of botany. Das, C., Dash, S., & Sahoo, D. C. (2012). 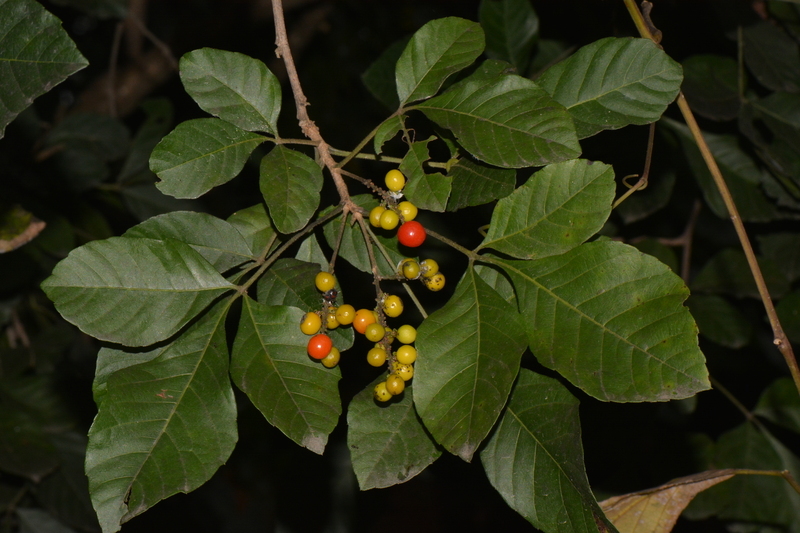 Pharmacognostical and phytochemical investigation of Butea frondosa linn. bark. Der Pharmacia Lettre, 4(2), 475–482. The wood is at times used in house construction. Buchholzia coriacea is an evergreen undergrowth tree of the lowland rain-forest about to 20 metres tall, ranging from Guinea to West Cameroons, and in East Cameroun and Gabon. Bryophyllum pinnatum is a long-lived, succulent non woody plant with erect stems usually growing up to 1.2m high, but can reach up to 2 m at times. Leaves are simple or compound, with three or five small plant leaves. The wood is used for furniture, poles, mortars, spoons and tool handles. Bridelia micrantha is a medium to tall, deciduous or evergreen tree reaching 20 m high with a thick spreading canopy; leaves are simple, large and alternate. They are found growing along forest margins, in coastal forests, swamp forest and woodland. Brillantaisia nitens is a perennial herb about 3 m tall, of wet areas in the forest zone, and reaching mountain elevations. There are four major species of Boswellia which produce true frankincense; Boswellia carteri, Boswellia frereana, Boswellia papyrifera, and Boswellia serrata. The wood is used for little construction, light carpentry work e.g. crates, boxes etc. Alstonia congensis is a tall forest tree about 25-30 m high, the stem is cylindrical and it has a rough bark. Chime S.A, Ugwuoke E.C, Onyishi I.V, Brown S.A, O. G. . (2013). 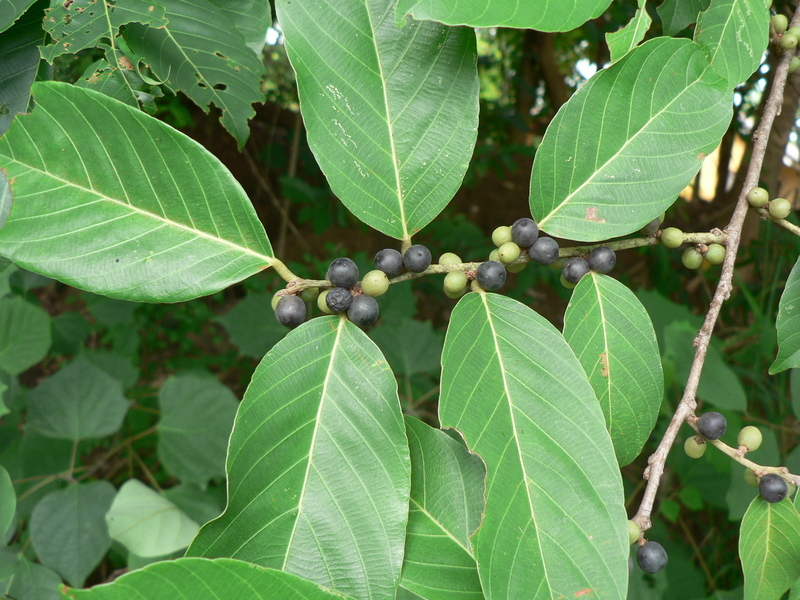 and Evaluation of Alstonia boonei Stem Bark Powder Tablets. Indian Journal Pharmaceutics Science, 2(April), 226–230. Sarpong, L. M., Sarpong, F. M., & Amponsah, I. K. (2016). 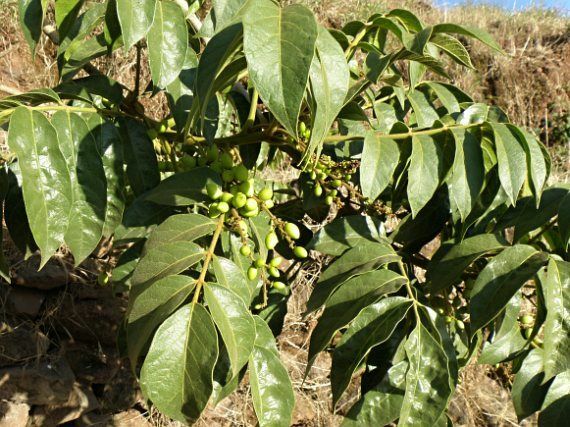 Antiplasmodial activity of the leaves and stem bark of Carapa procera and Alstonia boonei. Der Pharmacia Lettre, 8(3), 116–122. It is use in making household or domestic tools e.g. handles, toy etc. Twig can be use as chew-sticks. Allophylus africanus is a shrubby plant about 10m tall whose flower is white, cream, yellow or green in colour and fruit is red and fleshy. Chakravarthi, P. V., Arivuchelvan, A., & Jagadeeswaran, A. (2016). Immunomodulatory activity of Allium Sativum against newcastle disease in native poultry birds. Indian Veterinary Journal, 93(5), 17–19. Products, C. on H. M. (2016). European Union herbal monograph Allium sativum L., bulbus. European Medical Agency, (July), 1–9.